Terrance Hayes’ How to Be Drawn, reviewed. Structural amazements are buoyed by inner music in Terrance Hayes’ How to Be Drawn. The book the book the book the book the book. The moment talk of poetry turns institutional, it’s all about the book. The reviews of poetry in the places that still cover it—the New York Times, say, or Slate—deal exclusively with books. Almost all the major poetry prizes honor books. (Even the most prominent exception—Best American Poetry—is only available as a book.) Poets hoping to go pro—landing tenure-track jobs at universities—first have to publish a minimum number of books. In some cases (Louise Glück and Claudia Rankine come immediately to mind) this works out just fine. But far more often, the essential, uncommercial, atomic unit of poetry, the one where we encounter or forget ourselves, carry or discard our weight in words, configure meaning, consolation, ecstasy, are outraged, unsettled, altered, confused or entertained, the one we carry, memorize, and share is just one poem, which makes a book like How to be Drawn, the new collection from National Book (!) 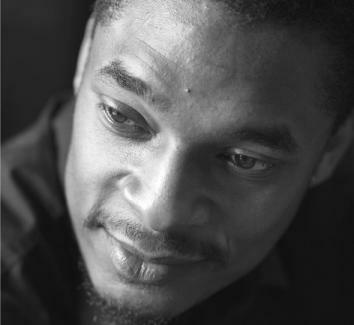 Award winner and MacArthur-minted genius Terrance Hayes, a little tricky. As a book, it falters. But its best poems are superb. The form that faltering takes, I should be clear, isn’t particular to Hayes. Like most recent collections, the new book just has too many poems that don’t live up to the standard it sometimes sets. But the disparity here seems especially pronounced, in part because Hayes, at his best, is one of the most exciting and imaginative poets in America today. At 97 pages, How to be Drawn doubles up on the customary minimum length for a poetry book, and too many of those pages spend too much time riffing on an idea that seems more opportunity than urgency—the kind of thing that can be fun among friends but feels careless of an audience that can’t play along, an audience that must rely on the poem to move it in the most literal sense, down the page. Some of those poems, such as “Instructions for a Séance With Vladimirs” or “Who Are the Tribes,” are remarkably skillful. They effectively showcase Hayes’ sometimes-staggering inventiveness—his ability to create an endless array of new containers in which his mind can move. But in such cases, Hayes reminds me of a conceptual artist who seems to be playing—and these poems are remarkably playful—with ideas without being obligated by the reality they might otherwise reach for. One can admire or analyze them profitably, but whatever is outside the museum or gallery stays safely and discretely outside, unembodied, hypothetical at best. That sense of remove lowers the stakes, simultaneously turning the poems into mere entertainment and, paradoxically, lowering their entertainment value, too. Occasionally, and more disappointingly, Hayes’ imagination simply slackens, yielding lines like, “It takes work to imagine / The ineffable, which I think is the word for something that can’t be / Effed up.” It’s easy to imagine a poet as intelligent as Hayes writing a throwaway sentence like that. It’s harder to understand why so many of them made it into the book. Poems are a form of music, and language just happens to be our instrument — language and breath. But I would say, you know, people say that I’m a musician. I would just say I try. That’s always — I try to play, I try to engage music, and I think if I could really play music, I don’t know if I’d be a poet. So, I think, in the absence of knowing how to play a guitar or a cello, I thought, well I can play words. I know words. They’re cheap, they travel very easily, and so that became my primary instrument. 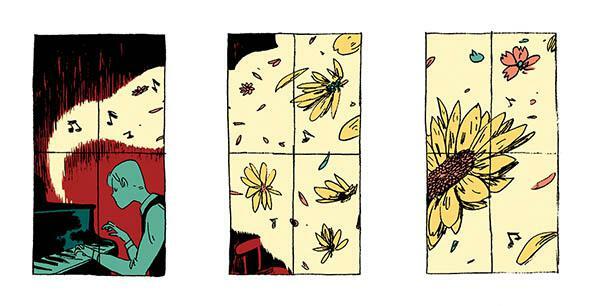 It’s a familiar metaphor—poetry as music. In the latter years of the 19th century, Walter Pater went so far as to claim that all art “aspires towards the condition of music,” but he neglected to note how often the best music aspires to be something else. So, too, for poetry, I think, and Hayes is at his best when his aspiration toward music gets tangled in the world his words pull close. Because beauty seems to come so easily to him, his poems need some measure of what they cannot do to make all that he has done feel truly valuable. who makes me rot, I trust you, Piano. covered in meat. The skin has no teeth. There are people who would be anonymous without you? Misses us when we’re gone. Larger than life and smaller than a book, these poems sometimes remind me of soul, the gospel impulse going on after God has left the building or the singer has left the church. History lurks here, not just memory but the way freedom must feel when it’s too little, too late, and everything all at once. “To be a black man’s camera is to live covered in sweat / That becomes all the water you need as long as you have to live,” he writes a little later in the poem, and he knows, of course, that it’s not enough to live on, not really, but the bold majesty of saying so is—and will be so long as the saying of such things can be kept aloft. With a few exceptions, these poems are not political in the sense that we usually mean when talking about poetry, but they have a great big political heart, their persistent vamping, at their best, inhabited by voices—a tradition of voices—that have made music out of deprivation. It’s a profound kind of love, this hunger to make an instrument out of oneself. That Hayes makes so much of it, as often as he does, growing large with it rather than full, is a gift.